Last week Harrow students celebrated their first Chinese New Year together. The Mandarin Department had prepared a series of events and activities designed to help students learn more about the traditions and customs of this very important festival. The celebrations kicked off with a Chinese Lantern Decorating Competition. All students were given different coloured and sized lanterns to decorate. The results were stunning, reflecting how talented and creative the students are, and they all went on display in the school lobby area. On Friday, 20th January, students came to school wearing traditional Chinese costumes. They participated in a series of CNY themed cultural workshops throughout the morning. The activities included a pottery masterclass, carving, sugar painting, sand bottling and paper-cutting sessions, all run by specialist teachers. Students were even able to try out the fine art of sculpturing by blowing up sugar. The sugar painting activity was one of the highlights with the students. The sugar master created the twelve animals from the Chinese zodiac and talked about the characteristics of each animal. In the afternoon, students in the Prep and Senior School competed in traditional Chinese sporting events, including a “Jainzi’ kicking competition, whilst their younger peers cheered them on. At the end of a day celebrating traditional Chinese culture, the entire Harrow community came together for a celebration concert, at which every student in the school was involved. The concert opened with a traditional Dragon Dance, performed by students in Year 9. 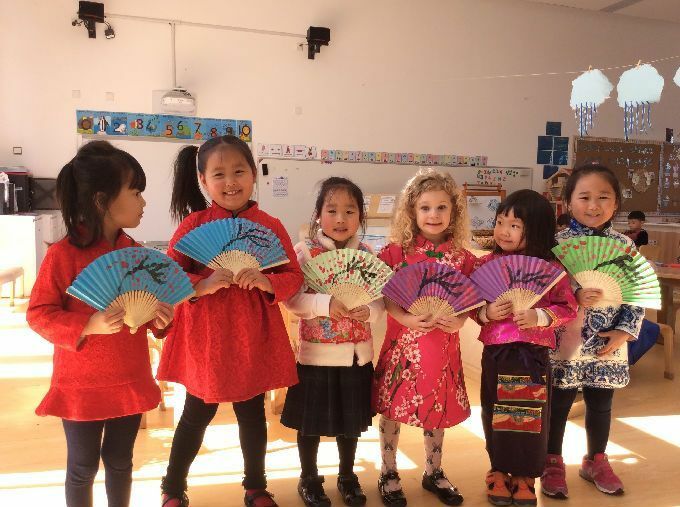 Dressed in a sea of beautiful red Chinese costumes, the students from Early Years then wished the audience a very Happy New Year singing the Mandarin song ‘Xin Nian Hao’. This was followed by the students in Years 1 & 2 singing the song ‘Gongxi Gongxi’ in both Mandarin and English to send their best wishes too. The pupils from Years 3 and 5 then performed an English song by the composer Sam Dixon, which describes the animals of the Chinese Zodiac. Their enthusiastic singing was appropriately enhanced with drums and cymbals. The students in the Prep and Senior Schools then concluded the concert with a performance of Harrow’s school song “Forty Years On”, which they had translated into Mandarin. Harrow’s CNY celebrations came to close with inter-house dumpling making and chopstick competitions.